Kwik Kar at Craig Ranch is a full-service automotive repair and oil change facility which has an onsite certified ASE Master Technician. We provide preventative car maintenance as well as complete automotive repair car service for all makes of vehicles including autos, SUVs, trucks, hybrids and vans. We also service diesel cars and trucks including DEF and fuel filter service. Our team of highly qualified mechanics are able to fully diagnose your car problems using our advanced computer scan tools to diagnose your check engine light. We can repair and replace brakes, rotors, engines, transmissions, car batteries, spark plugs, emission controls, headlights, taillights, radiators, exhaust, wheel bearings, control arms, hubs, anti-lock brakes, traction control, air and airbag suspension components, truck lifts, exhaust manifold, valve cover gaskets, oil pan gaskets, timing belts, serpentine belts, motor mounts, AC and air conditioning repair, struts, shocks, catalytic converters and clutches. 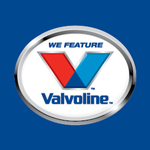 We offer numerous preventative maintenance services such as oil changes, engine air filter, cabin air filters, windshield wipers, brake fluid exchange, transmission fluid exchange, coolant flush, power steering fluid exchange, fuel filters, fuel system cleaning, tire rotation, wheel balancing, two and four wheel alignments. Texas State Inspections can be handled while you wait . Our preventative service program is designed to save our customers money thru good fluid maintenance reducing the need for extensive auto repairs.